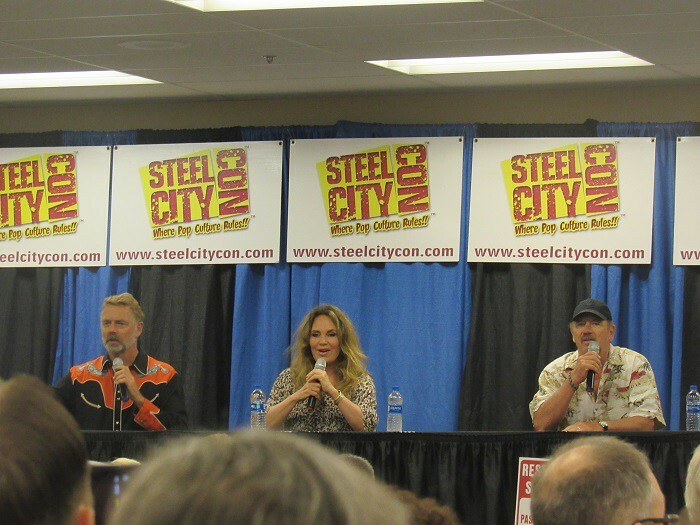 Made the (relatively) short drive to Monroeville, PA for the Steel City Con, mainly to get the elusive group pic of the surviving Dukes of Hazzzard family - Bo, Luke, and Daisy. And while there, get a complete 8x10 of the three. 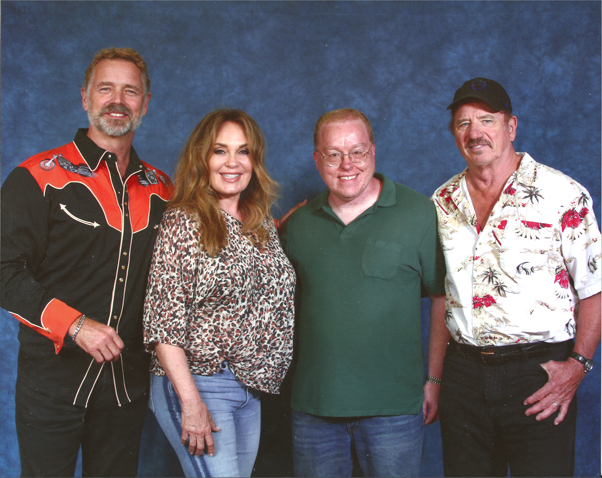 Got to the show for opening, and was able to get John Schneider and Tom Wopat graphs fairly quick, and Catherine Bach came down an hour later, and I got through her line pretty painlessly as well. I then had SEVERAL hours to kill, since the photo ops weren't until 3:30. I walked to the nearby mall for lunch, then sat in on the Dukes panel. Unlike the disaster that the Four Horsemen ops in Knoxville, this photo op was in my hand minutes after it was taken, so I was on the road home by 4:00. All and all, a relatively painless trip to get a top want. Yee-ha! Nice! Catherine Bach had some of the longest lines when I was there on Friday. Tom Wopat was sitting at his booth playing guitar and singing. It was weird seeing the disparity in the lines - Bach had the consistently longest (she came down later than the guys, but she never really burned through her line on Saturday), Schneider did good business all day, but most of the time you could walk right up to Wopat. I get it that the pretty girl who every male Dukes fan had a crush on would have the longest line, but it was weird that so many people would apparently need to get Bo but NOT Luke on stuff? love this post, that is such a great group pic. i meet them years back at a duke's fest in little rock. That would confuse me, too. I've heard Tom was a pretty nice guy (all three are!) but always viewed him as tough because he didn't do thru mail and didn't seem to do appearances until recently. Great picture with them, too!! Well, Tom Wopat has been in some serious legal limbo of late. So, that may factor in.